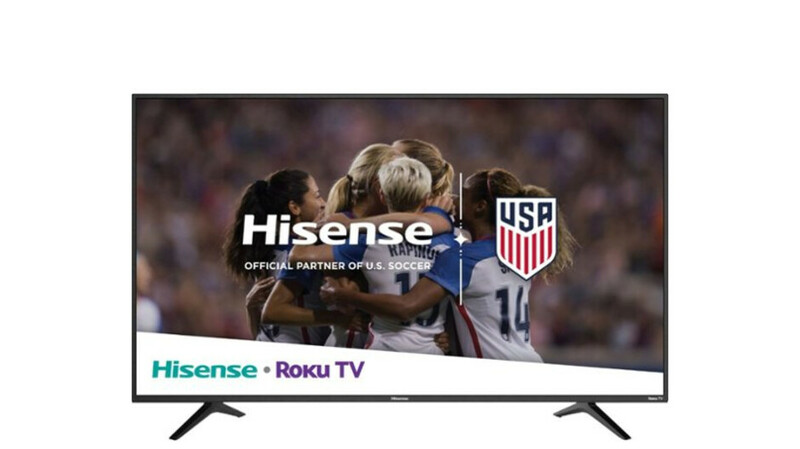 Deal: Get a new 65-inch Hisense 4K Smart TV for $498 at Walmart, save big! A 65-inch Hisense 4K LED Smart TV is available at a very alluring price. This model comes with Roku TV and can be found discounted to $640 at places like Best Buy, but right now you can get it for just $498 at Walmart. That's a discount of $142 or around 22%. The panel on this TV boasts a 4K resolution of 3840p x 2160p. The refresh rate is 120Hz, which is adequate for a TV of this size. Reviews of this model are very favorable, with Walmart customers rating it 4.7/5 stars. The built-in Roku smart platform allows you to stream from Netflix, YouTube, Hulu Plus, or any of the 4,000 other streaming channels. Miracast is also supported, which means that you can stream from your phone, tablet, or laptop. If this deal interests you, feel free to follow the above link to Walmart. Shipping is free, and a standard 1-year warranty is included. Great deal, my hisense has been pretty good so far. Right size. Wrong brand. No can do. Thanks for all the good deal articles PA But no on this one, just not a brand i would want. I have a hisense smart tv and I don’t have problems with it. Like the image quality and the sound. The only complaint I have with it it’s that I can’t use the apps that it came with. I can only use Netflix but can’t update it.